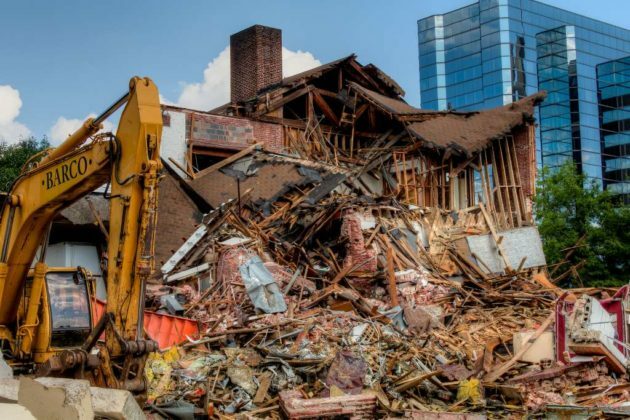 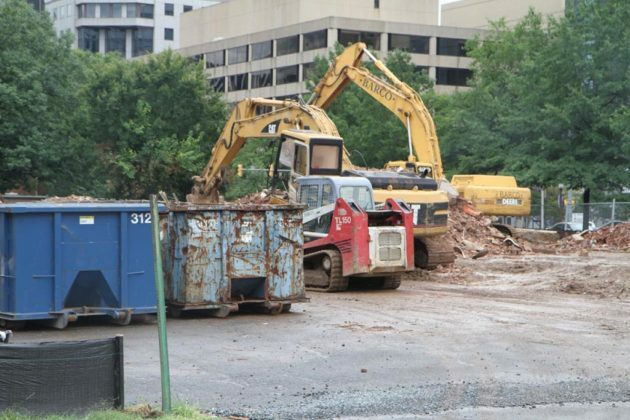 Construction crews have moved in and are well on the way to demolishing the former Wilson School in Rosslyn to make way for the future H-B Woodlawn and Stratford programs. 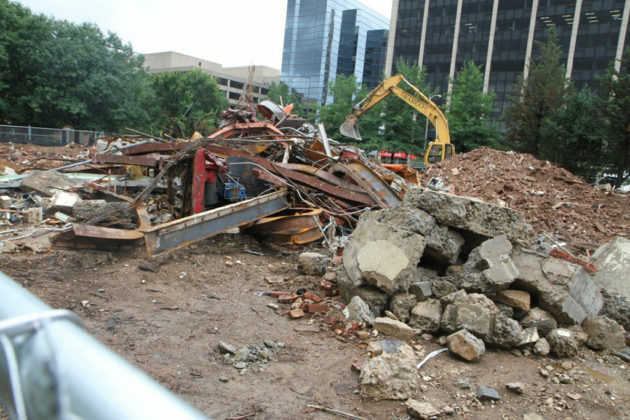 As of Thursday, very few walls from the school at 1601 Wilson Blvd were remaining, with piles of rubble, metal and bricks piling up as workers continue to clear the site. 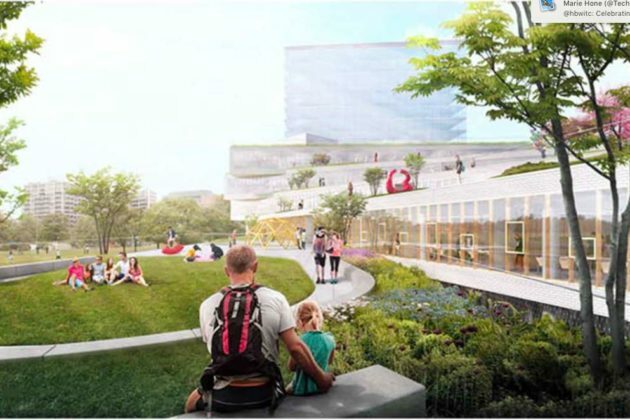 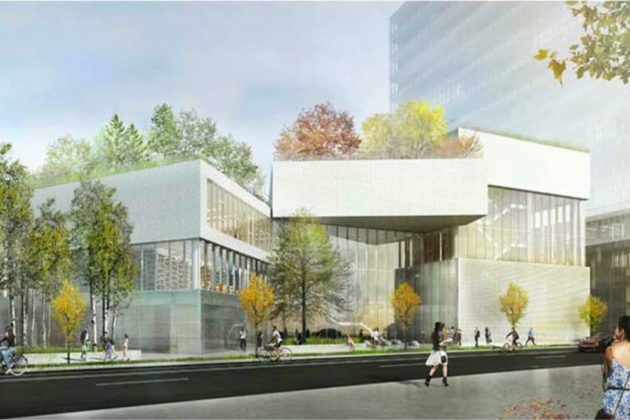 Construction on the new $100 million building is set to start later this year. 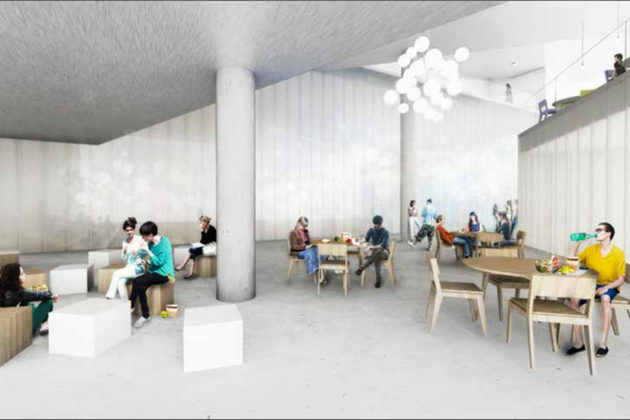 The new structure is scheduled to open in fall 2019 and house 775 students across both programs. 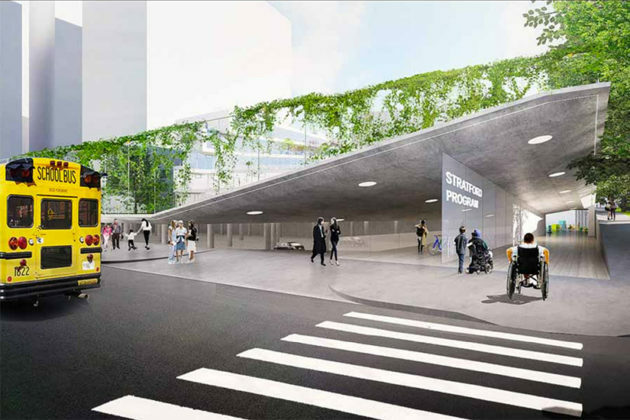 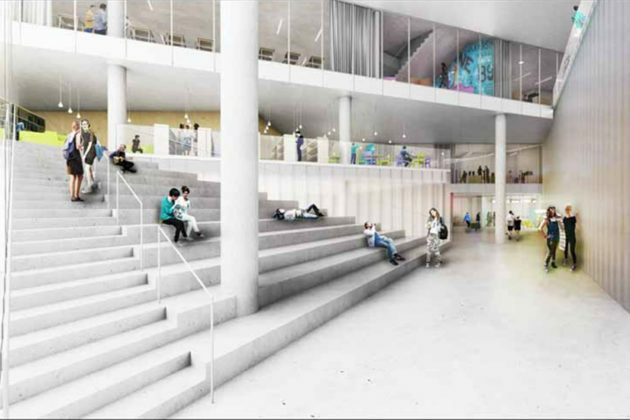 The Stratford Program will have the majority of the space of the lowest level, while H-B Woodlawn will have classrooms on the first through fifth floors. 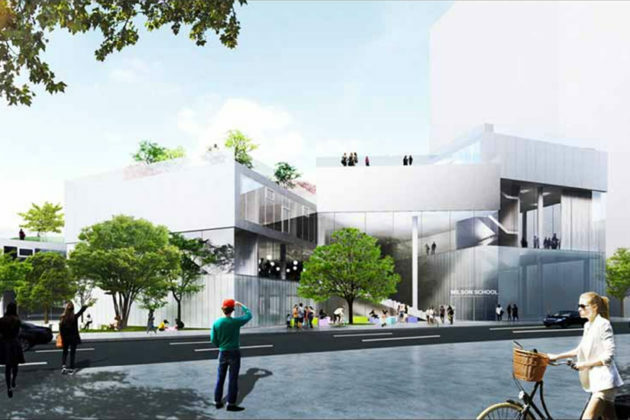 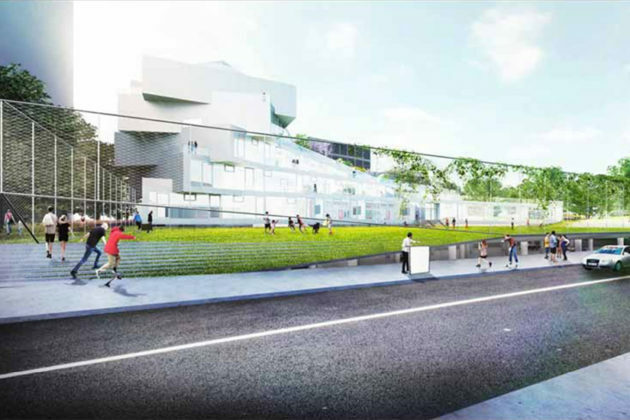 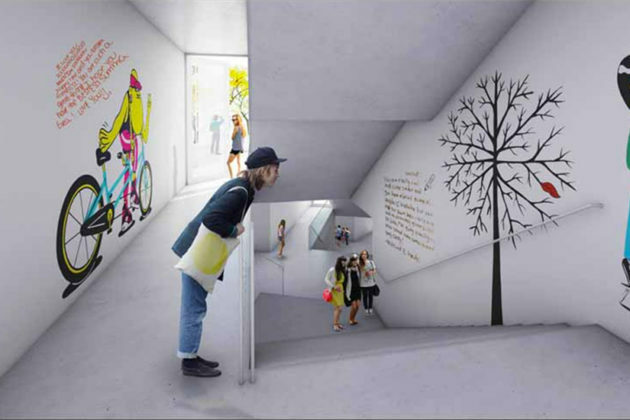 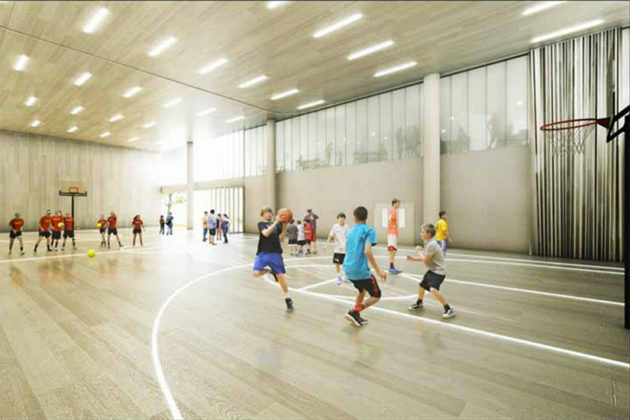 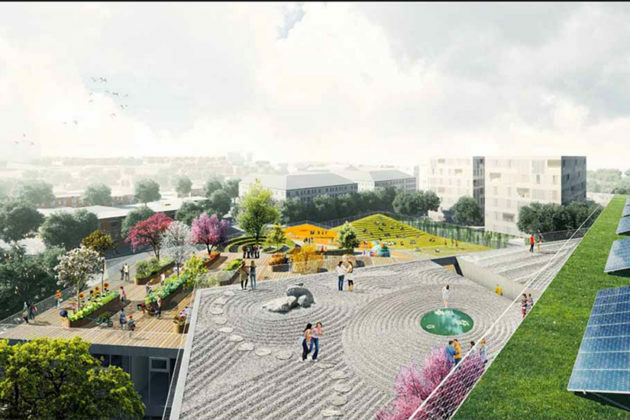 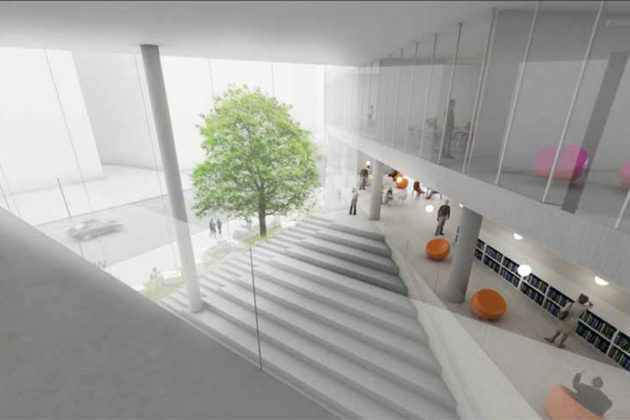 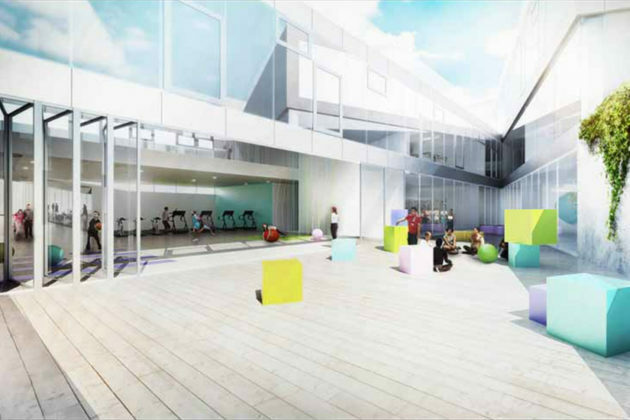 There will be shared spaces throughout the building, with outdoor terraces allowing open space for recreation and learning. 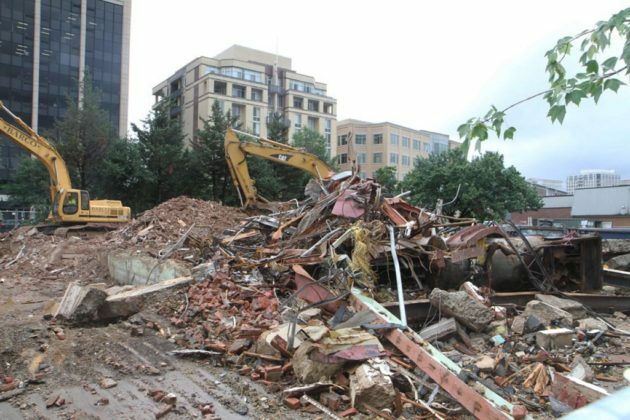 The site will also be home to a temporary fire station while the current Fire Station 10 in Rosslyn is rebuilt, despite a bout of back-and-forth drama over the plan last summer. 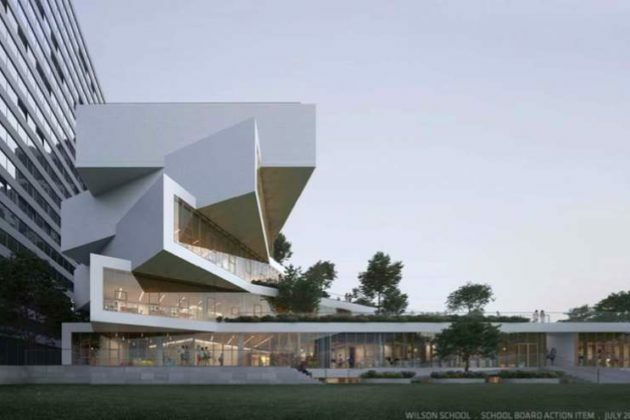 The former Wilson School had been recommended for designation as a historic district, but that request was denied by the Arlington County Board in 2015. 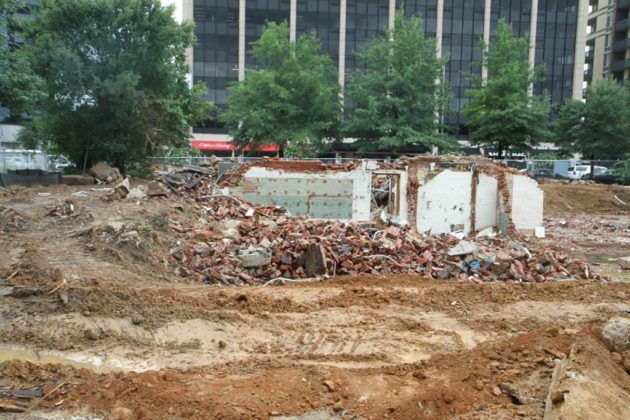 Instead, the Board directed Arlington Public Schools to incorporate pieces of the old building into the new school.